Most bicycles have a frame number stamped into the metal under the bottom bracket. If it’s a carbon frame, the number will be etched into the surface or displayed on a sticker. Occasionally, the frame number will be on the inside of the chain stay or on the down tube or top tube. 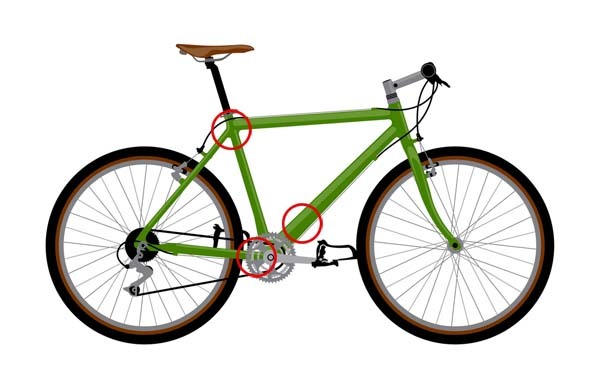 See the diagram below if you need to identify these areas of the bicycle. Please note: 6-digit numbers starting in BS or EN are NOT the frame number. Don’t worry. Some older bikes and carbon fibre frames do not have numbers so you will need to fit your cycle with an identity tag. The easiest and most effective way to create your own frame number is to use the Datatag system. 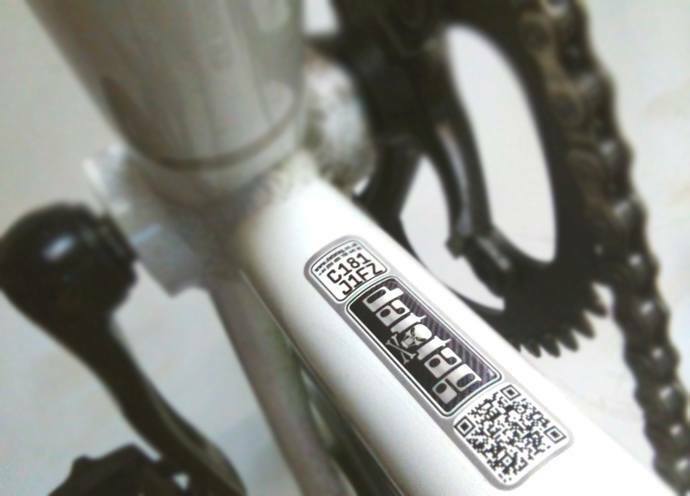 The Datatag system includes a four etches to permanently mark your frame and forks and a series of micro dots to mark components. The etches feature a unique code that is visible only when illuminated by a UV torch of the kind carried as standard by British police. The micro dots also include the code and can be glued to every valuable component using a clear, UV glue. You can buy the Datatag system online here. Please call us on 0333 000 1234 or email customercare@eta.co.uk and we will be happy to help.